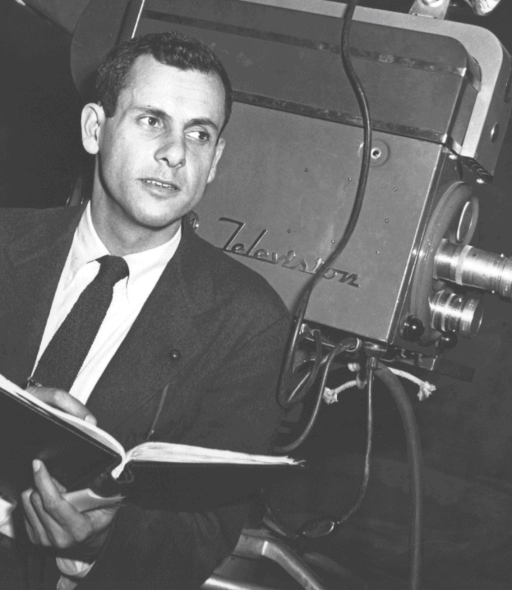 TV Director, James Sheldon, has died at the age of 95. Sheldon’s extensive resume includes classic TV series like The Millionaire, The Twilight Zone, Naked City, Batman, M*A*S*H, Route 66, The Fugitive, Sanford & Son, and The Waltons. His last direction credit was the “Dori Day Afternoon” episode of Sledge Hammer!, which was cancelled by ABC, after two seasons. Per his New York Times biography, Sheldon directed over 1,000 TV show episodes and discovered his fair share of talent, including the late Tony Randall, co-star of the first TV adaptation of The Odd Couple. Randall had landed a bit part on the Mr. Peepers TV series. Reportedly, Sheldon was so pleased with his performance, he expanded Randall’s part in the script and cast him as a series regular. Leonard James Schleifer was born on Nov. 12, 1920, in Manhattan, the son of a clothing-company executive. His family moved to Long Island when he was 5 and back to Manhattan when he was 15. After high school, he was accepted by Carolina Playmakers, the resident theater company at the University of North Carolina. He began his career as a page, then a tour guide, at NBC in the early 1940s, when the network’s business was radio. He changed his last name, he recalled, because the United States was at war with Germany and Schleifer sounded Germanic. His first television job was working for one of the hosts of the interview series “We, the People” (1948-52). Besides his son Tony, Mr. Sheldon is survived by another son, James Jr., and three grandsons. In the latter days of his career, Mr. Sheldon directed episodes of TV series including Cagney & Lacey, The Dukes of Hazzard, Seven Brides for Seven Brothers, Lottery!, Jessie (1984), Partners in Crime, and The Equalizer. We invite you to share you memories of Mr. Sheldon and his career, below.